2013 saw the release of Echosmith’s debut album Talking Dreams, an album that shone past any preconceptions of pop rock to genuinely stand among the year’s best. As a result of being overcome by inspiration lately, the now-trio have pushed back the release of their second album to next year, and in its place dropped the Inside A Dream EP, a taste of their foray into a more mature pop sound. While singer Sydney Sierota’s voice fitted with the carefree naivety of debut album Talking Dreams so perfectly, Inside A Dream tries to go against this on a few occasions. Slinky opener Lessons and Hungry are both lush, keyboard-led tracks which show off Sierota’s voice; she hasn’t particularly improved in terms of anything technical, but she is clearly more confident and sticks to her much stronger lower range more. Songs like Get Into My Car and 18 which combine that prior naivety with this new sound thrive too (despite a few clumsy word choices and overarching lyrical concepts, especially with the former), and they prove that happy-go-lucky pop goodness is a niche they’re certainly capable of mastering at this rate. But both of these sides of the coin have their pitfalls, some of which Echosmith (and plenty of other maturing pop rock bands nowadays to be fair) do fall into. In terms of their past self, there’s still an insistence to write faux-inspirational, wet ballads that are completely stagnant – in this case the acoustic Dear World, which has a far too vague and generic message about everyone loving each other to actually mean something. But then Goodbye, the deepest exposure we get to this new full-pop sound, seems to lack likability and sparkle, making it easily one of the lowest points on the record. Irksome as these niggles are, they’re forgivable. On the whole, this EP can easily stand alone despite being a transitional point in Echosmith’s career, and for the most part, it points at the future looking pretty bright. Roll on 2018 for album two. 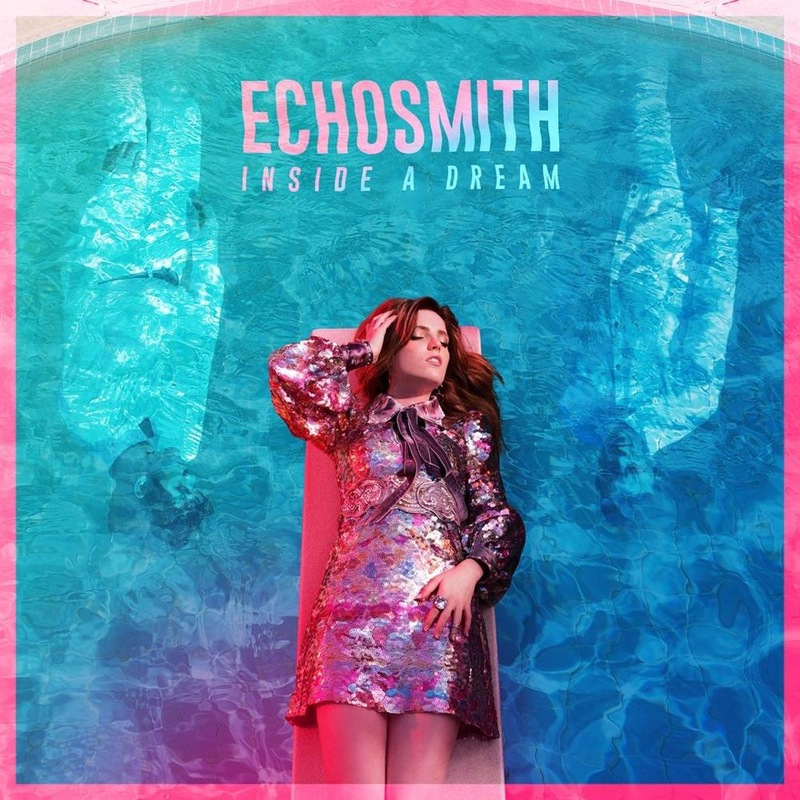 ‘Inside A Dream’ by Echosmith is out now on Warner Bros. Records.